The 1970s brought a real growth in the music press. The stalwarts of the 60s continued – Melody Maker, NME, Rolling Stone – but they were joined by a number of others, such as Sounds (another British weekly paper), and magazines like Zigzag and Trouser Press, which originated as fanzines before becoming distributed monthlies. These are still very affordable artefacts, but more for collectors than as an investment. Printed paper isn’t likely to reach dizzying heights, but music historians and fans of bands covered in specific issues are willing to pay for items. Others try to assemble complete collections of certain publications. Melody Maker, New Musical Express, even Disc and Music Echo and Sounds were the British weekly papers, although Disc focussed more on the pop end of the spectrum. Different papers became associated with different areas of music – Melody Maker championed the prog rock bands, for instance, whilst NME became strongly associated with punk. 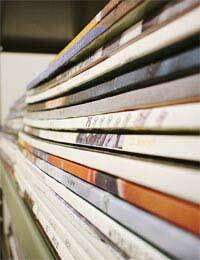 That narrows the field for collectors, but you can acquire a large collection of music papers at very low cost. The best place to buy is eBay, where it’s often possible to get individual issues for a pound or less. Some will go for more, in the case of interviews with the most collectable artists of the era, or for major features from the punk period, especially 1976 and early punk. Rolling Stone published different British and American editions in the 1970s, and both can be found cheaply on eBay. They tended to focus on the bigger, more established figures, and some issues, like those featuring John Lennon (a perennially popular artist with the magazine), go for much higher prices – up to around £40. For most issues, though, you should expect to pay up to £5 – still very cheap. Both started out as low-run fanzines, but by the middle of the 1970s both Trouser Press and Zigzag had become commercial monthly magazines. In many ways they were mirror images of each other – Zigzag was a British publication with its main focus on American music, whilst Trouser Press was out of New York with an Anglophile outlook. Their cult status has made them quite collectable (Trouser Press was a big advocate of punk, and even Zigzag finally converted to accept punk and more British bands), and, compared to other publications, they’re relatively scarce. Even then, you’re not going to break the bank paying between £2.50 to £5 an issue. However, if you want a complete set of issues, be prepared to spend years collecting, especially with Zigzag, which is harder to find. In the early days of punk, cheap fanzines were a way of bonding the subculture and also spreading the word about bands and gigs. They’re not too easy to find these days (dealers or eBay are your best bets), since few have survived, and they were only produced in very limited quantities in the first place. That boosts the price – for influential magazines like Sniffin’ Glue you’ll probably pay £15 for a copy. Of course, storage can be a problem if you put together a significant collection of papers and magazines, and the quality of the paper is such that items can easily deteriorate. It’s worth using special storage for more valuable issues.